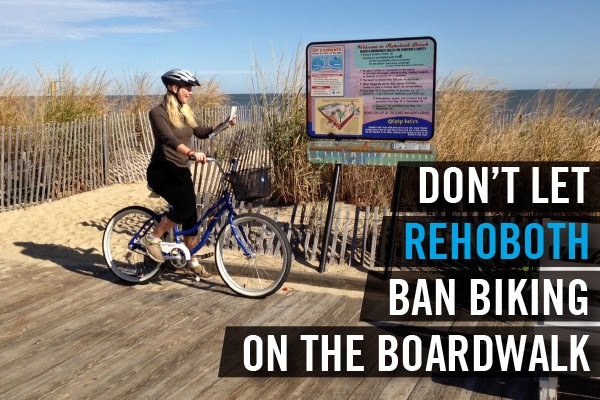 Right now, the Rehoboth Board of City Commissioners is considering an ordinance that would ban or severely limit bicycling on the Boardwalk. If you disagree, let them know. 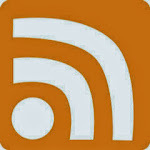 Cape Gazette -- Summer bike rides on the Boardwalk in Rehoboth Beach could be a thing of the past. While at least one business owner warned against overreacting, Rehoboth officials are considering banning bicycles during the summer or reducing the hours they are permitted. Another option is changing the dates bicycles can be ridden on the Boardwalk. Police Chief Keith Banks said this year saw more complaints about bicyclists speeding down the Boardwalk coming from both citizens and from city police officers, who reported several close calls. Banks said the Boardwalk was overcrowded during the summer; adding to the problem was the number of joggers wearing headphones not able to hear their surroundings. Two children were struck by cyclists, and other incidents may not have been reported, Banks said. City ordinance bans bicycles on the Boardwalk after 10 a.m. from May 15 to Sept. 15. Banks said the ordinance has become difficult to enforce; during the past summer, he said, Rehoboth Beach Patrol helped alert people to get their bikes off the Boardwalk after 10 a.m.